2016 has been a busy year to date for those participating in U.S. President Barack Obama’s Power Africa program. Particularly noteworthy, the U.S. Congress joined with Pres. 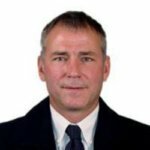 Obama this past February by passing the Electrify Africa Act, Power Africa program manager USAID highlighted in an email response to questions. In doing so, Congress advanced landmark legislation and gave public notice of the U.S. government’s ongoing commitment to resolving development challenges and promoting sustainable development throughout the continent. In related developments, keystone Power Africa program partner Millennium Challenge Corporation (MCC) continues to assist African governments establish sustainable energy policies and programs. MCC Resident Country Director for Ghana in August announced the launch of MCC’s second Power Compact with the Ghanaian government. The aim is to spur private-sector investment and build sustainable energy pathways that provide Ghanaians access to sustainable sources of energy. MCC anticipates as much as $4 billion could be invested in Ghana’s power sector as a result. 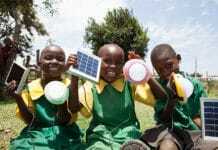 To date, MCC has committed approximately $1.5 billion to support Power Africa member nations institute power compacts and threshold programs that improve the quality and reliability of electricity and promote climate-smart measures that focus on areas such as energy efficiency and renewable energy. 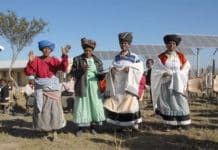 In project news, Power Africa program partner U.S. Overseas Private Investment Corp.’s (OPIC) committed $400 million to support development of the Redstone Concentrating Solar Power (CSP) project in South Africa’s Northern Cape province. 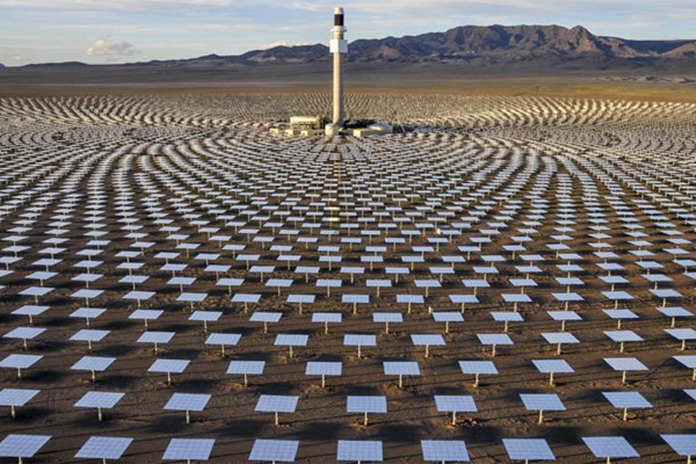 Being built by Power Africa partner SolarReserve and ACWA Power, the 100-megawatt (MW) Redstone Project features leading edge molten salt energy storage technology, which enables as much as 12 hours worth of electrical energy to be stored and dispatched as needed during evening as well as daylight hours. That’s enough to supply full-load demand for more than 200,000 South African homes during peak periods, according to project details. Coming in the form of insurance and debt financing, OPIC already has exceeded its original $1.5 billion pledge by raising its Power Africa commitments to $1.7 billion. OPIC has participated in 19 power projects since Pres. Obama launched Power Africa in June 2013. It’s estimated that two of every three people living in sub-Saharan Africa lack access to grid power, which plays a big part in limiting their ability to improve the conditions in which they live and work. U.S. President Barack Obama zoomed in on the twin issues of electricity access and energy poverty in 2013 with the launch of the Power Africa program, an international public-private partnership that draws on the resources of more than 120 public and private sector organizations in a bid to install 30,000 megawatts (MW) of electrical power and add 60 million electricity connections in sub-Saharan countries by 2030. Having raised nearly $43 billion, Power Afica was tracking 239 projects with a combined 26,843 MWs of capacity as of the latest tally. Program participants employ a strategic approach that’s focused on improving energy efficiency of existing grid infrastructure, scaling up grid roll-out programs and intensifying the program’s “Beyond the Grid” efforts. Among recent developments is a rural grid extension program in Ghana under the Ghanian government’s Self-Help Electrification Program (SHEP). 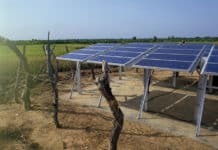 There, Illinois-based Weldy Lamont Associates, with support from U.S. export-import bank EXIM, expects to extend grid power to more than 120,000 households and businesses in more than 2,000 rural villages by project completion. More than 73,000 new power grid connections had been completed as of June this year. The Japanese are giving Power Africa a boost. Program manager USAID on Aug. 25 announced that Japan’s Ministry of Foreign Affairs (MOFA) joined the program. An official Memorandum of Cooperation (MOC) was signed in which Japan pledged to add another 1,200 MW of power capacity across sub-Saharan Africa by year-end 2018. The MOC also contributes to related efforts by members of the Tokyo International Conference on African Development (TICAD). 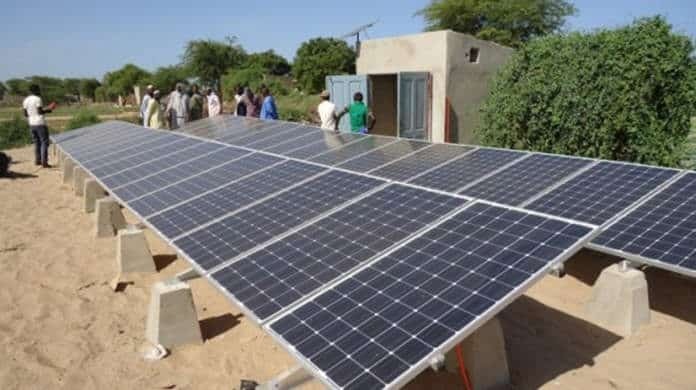 Akin to Power Africa, improving energy access and reducing energy poverty are key issues for TICAD, which was formed 20 years ago by the Japanese government, the U.N., the U.N. Development Program (UNDP), the World Bank and African Union Commission (AUC). TICAD pledged to provide some $2 billion to promote low-carbon energy in Africa over five years at its fifth summit meeting in 2013.